The coffee upstart is a unicorn, worth more than US$1 billion by July. An ongoing funding round could raise that valuation to as much as US$2 billion, according to Reuters. Though that still makes it a David to the Starbucks Goliath, steeper competition led the U.S. company to post lower revenue from China in its most recent quarter. At first glance, a billion-dollar-plus valuation for a coffee shop might seem mind-boggling. Yet the Beijing chain deserves full marks for figuring out Chinese consumers better than the American behemoth. These days in China, no retailer can flourish without the two Ds — being delivery-friendly and digitally savvy. 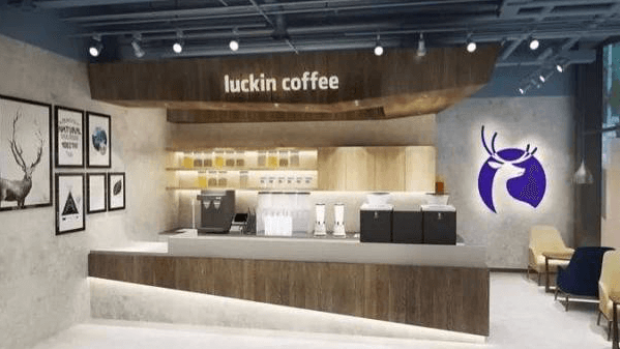 Luckin capitalized on the long queues at Starbucks stores and made a business of delivering orders made and paid for on its app. While the startup does have some stores with seats and tables, a large number of its outlets are “pickup kitchens” or delivery points. And importantly, a cup of Luckin coffee is cheap, costing 30 per cent less than one from Starbucks. On deliveries, Starbucks is catching up. In August, it struck a deal with Alibaba Group Holding Ltd.’s Ele.me food-delivery app. But that’s while Luckin is accelerating: The company teamed up a month later with the tech giant’s rival Tencent Holdings Ltd., which offered an entree to the world of WeChat. There’s one reason to believe Starbucks could win this game. It’s not because tea-loving China doesn’t have a coffee culture — that’s changing fast, with total consumption up 16 per cent in the last decade. Neither will the trade war be much of a factor: History has shown such boycotts tend to be temporary. Starbucks’s advantage is that it remains unique. The company retains a reputation for premium coffee — long lines indicate that cost is no barrier — and its stores have those lounging spaces beloved by millennials. Luckin, on the other hand, risks expanding too much on investor money. It spends heavily on marketing, especially on elevator TV ads, and offers generous subsidies like buy-one-get-one free coupons. The success of its model also relies on fast delivery — who can tolerate much of a wait for that morning cup of coffee? — no small feat in some of China’s famously traffic-clogged streets. To get around this, many of Luckin’s outposts are set up directly in office buildings. Any order that’s not delivered in less than 30 minutes is free. That leaves the onus on Starbucks to get the digital-delivery calculus right. The importance of convenience in China can’t be underestimated: As Goldman Sachs Group Inc. noted in a May report, the country ranks third globally in terms of working hours for 20- to 34-year-olds. The average commute time there is double that in the U.S., and reaches an hour in Beijing. Starbucks was remiss not to figure that out more quickly, and risks going the way of McDonald’s Corp. if it doesn’t act. Once a premium brand in China, sales at the fast-food giant fell because it couldn’t carve out a niche. Last year, McDonald’s sold its business in the country to a private-equity firm and a local player. Starbucks also needs to be quicker about embracing delivery in the U.S., as my colleagues Sarah Halzack and Shira Ovide have written. Starbucks can win the China battle, but it will be a bruising one at the very least.